Buy now for less than what it would cost to build new! 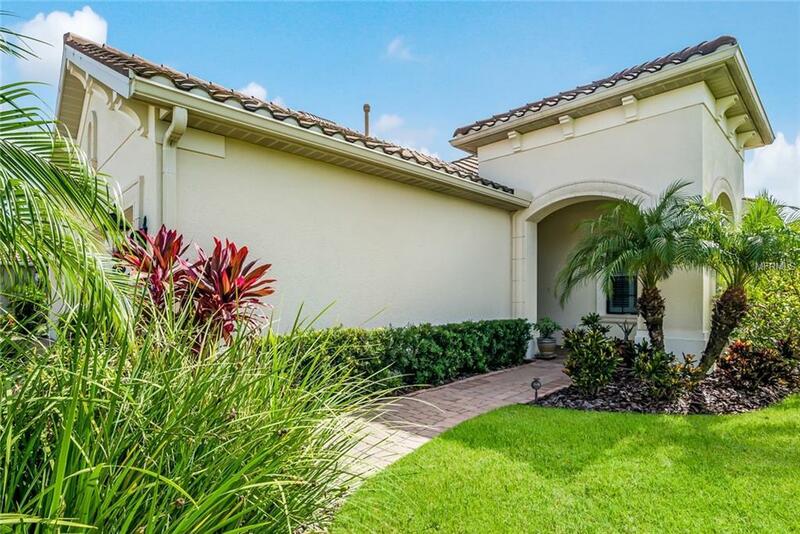 This move-in ready, like-new Tidewater paired villa home is situated on a private preserve lot in a gated/maintenance free section of fabulous Grand Palm. The pretty dcor and soothing palette superbly compliment this popular open floor plan featuring 2 BR, 2 BA + Den. Lots of upgrades were incorporated into this home including upgraded kitchen cabinetry with counter level island, tile and wood laminate flooring, advanced security system w/motion + glass break detectors, extra recessed lighting, coffered ceiling tray and crown moldings, master bath w/walk-in shower and his + her sinks, pocket sliding doors to the extended lanai, a roof radiant barrier shield affording lower utility bills, and a 4-stage water conditioning system delivering crystal clear, soft water. Even the garage is well appointed with an epoxy coated floor and pull-down stairs for attic access. No need to build, it has all been done for you! This award winning, master planned community offers residents an amazing lifestyle that includes a beautiful clubhouse at the center of social activity w/full time lifestyle coordinator, resort-style and lap pools + spa, splash zone, tennis, pickle ball, volleyball, basketball in addition to 28 mi of biking trails, 2 bark parks, and a 40 acre recreational lake on which to kayak and fish. A superb location just minutes to historic downtown Venice, A-rated schools, fine shopping, dining and world-class beaches.